Walkin bathtubs are perfect for Lawrenceville, Georgia, homeowners who struggle daily with limited mobility or simply want to reduce their chances of slipping and falling in the tub. When you have a walkin tub in your home, getting in and out of the bathtub is easy – you can literally just walk right in because the entrance threshold is only a couple of inches high. And, since walkin tubs have twice the depth of ordinary tubs, the seats can be built in at chair height for the ultimate comfort. Additionally, walkin bathtubs feature grab bars, slip-resistant surfacing, leak-proof doors, side grips, and easy-to-reach controls, which make bathing much safer than in an ordinary tub. 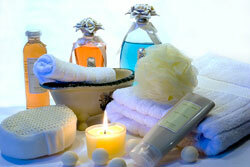 Aromatherapy bathtubs – Drop fragrant beads into the bath water, which dissolve and release calming scents into the air. Chromatherapy bathtubs – Use color-changing lights to induce emotional responses. Hydrotherapy bathtubs – Feature air jets that target sore muscles and aching joints with soothing underwater massage. While therapy tubs are comforting for anyone, they’re especially beneficial for individuals dealing with high stress, chronic pain, or discomfort. Although therapy tubs don’t treat medical conditions, they can certainly provide temporary relief for symptoms of a wide variety of issues, such as arthritis, sciatica pain, balance disorders, and more. For additional information about the walkin bathtubs we offer homeowners in Lawrenceville, GA, or to receive an estimate and schedule your installation, please contact us today.